A $20 gift card to Ga-Ga!!! 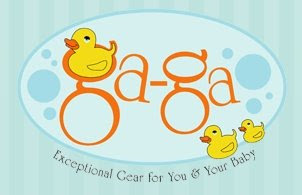 Ga-Ga is an adorable, online store that has VERY nice things for mom and baby. 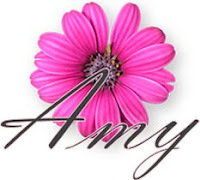 They carry everything from diaper bags to toys to bibs and more. I could spend a long time clicking around this store and "window shopping" for my son and myself. 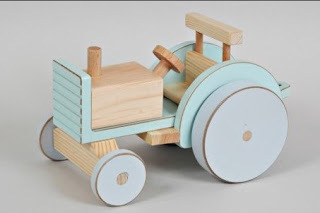 This is the Pastel Toys Wooden Tractor on Wheels. This is the Gitta Bag 102 Red and Blue and White. 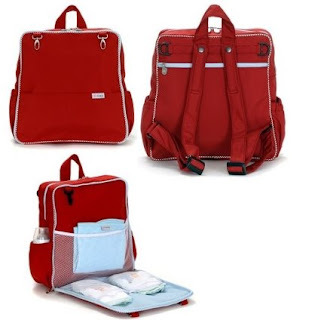 I love backpack diaper bags and this is smaller than the one I own. backpacks make life with a toddler boy so much easier. (I do a lot of running) :). There are many more things to see and buy on this website. Click Here for info on the causes Ga-Ga supports. To enter for your chance to win the gift card, see the official rules and then leave your comment to enter. What catches your eye at Ga-Ga? Oh how cute is that stuff. Cute stuff, just in time for Christmas! Hope you are feeling better. Geez, I forgot to include my email address.....SORRY! I love stores like this that give back! Love the Go Gaga slide diaper bag! I'm loving that website! What a great find! There are so many things that I could use...but right now I'm wanting the Diaper Clutch in Caribbean disco! I like the Jack and Lily shoes and diaper clutches they have, both things a new mom could use! I think the shoes are cute!! Loving a lot of stuff in the store especially the floral sheets. They would look great on the new "big girl" bed we just purchased. Most of it catches my eye. I love their nap sets My favorite is the "My Little Sleepy - Camouflage Orange"
ok count me in for this!! How wonderful! Thanks for having this giveaway! Please enter me for this gift card giveaway! This sounds great...there's so much cute stuff! So much fun! Thanks for the great contest! The Gitta Car Bag looks like it would come in handy! I am always losing things in the car and having to dig around for them. Thanks for the giveaway! I subscribe to your feed and have your button on my blog. Such a wonderful company. The proceeds help a Special Needs community. Each sale helps to bring independence. Kuddos to them! I love the wooden toys. Thanks so much! Love the Silver Charm Necklace on Leather! you are right, so many wonderful items at that site!! it would be a hard decision on what to get. The Pastel Wooden Giraffe is so adorable. It would be a nice toy and a nice nursery decoration. Where to begin? That soft elephant would certainly be welcome in our home. So would the wooden giraffe on wheels. Too cute. And have your button up. And I subscribe in google reader as well. What a great giveaway, they have a ton of cute things that I'd love to have. I liked the Fireman Binkster. Adorable. I like the Geo wipe case! So trendy and cute! I love the Jack and Lily - Shining Star. Thanks so much. Cute wooden toys. Especially the cars. What a great website for baby! Ga Ga is great website. I could so use this to get my sister-in-law a shower gift!